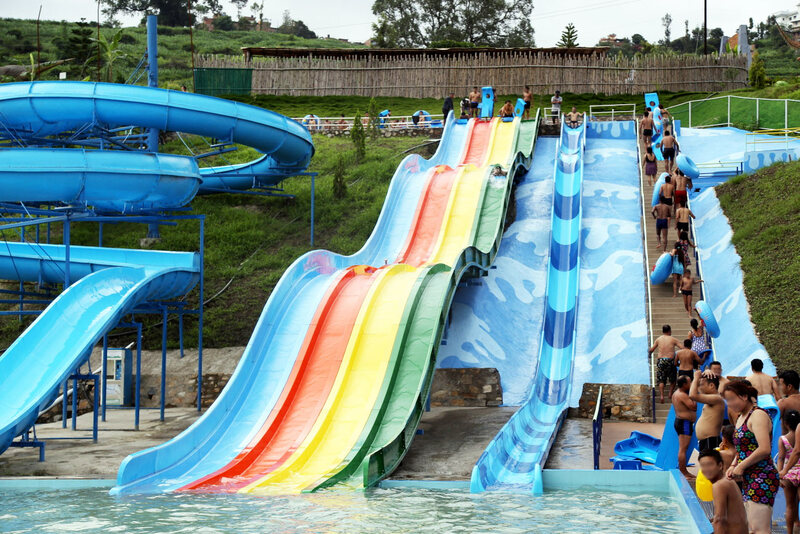 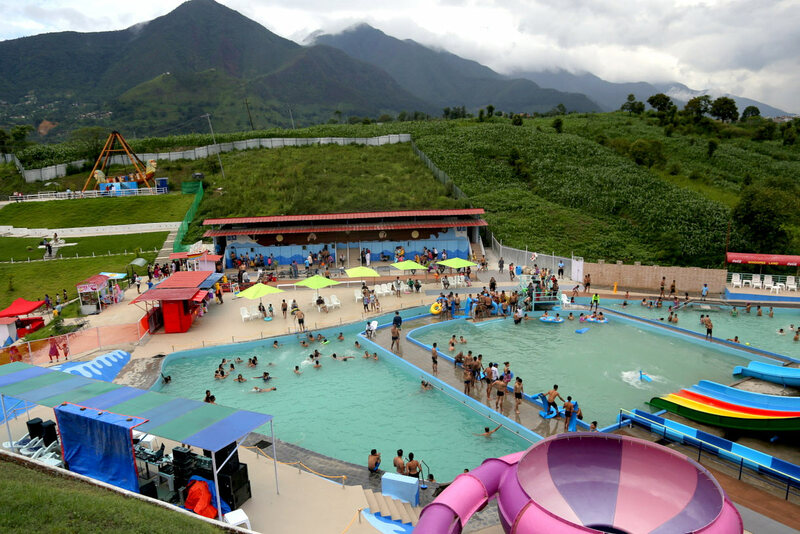 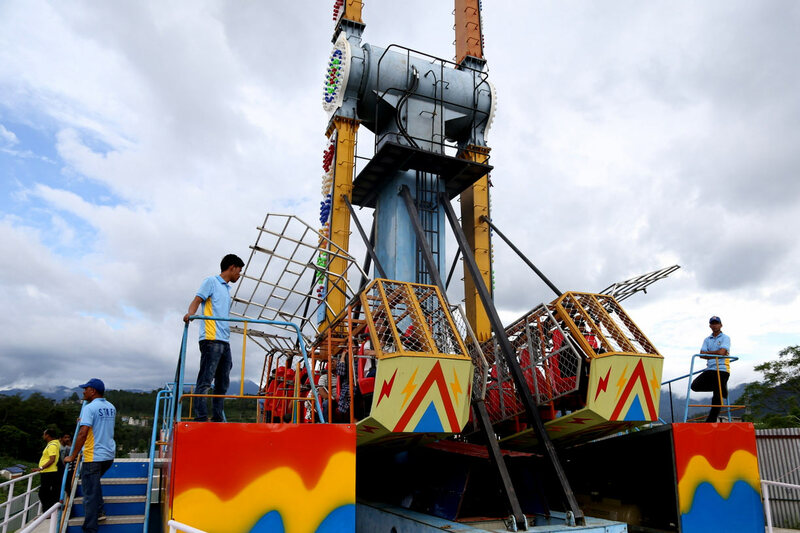 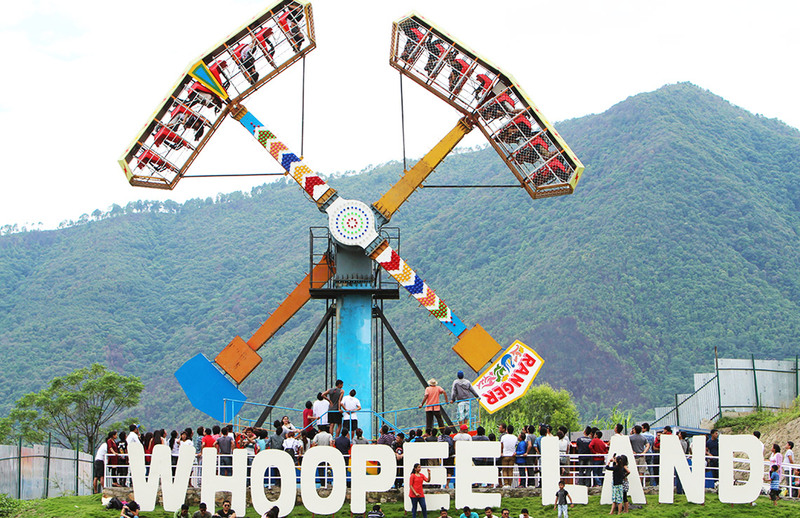 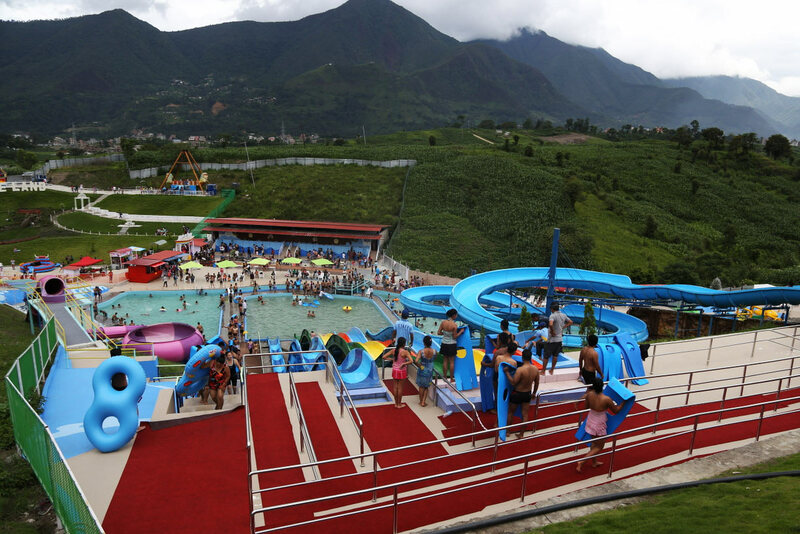 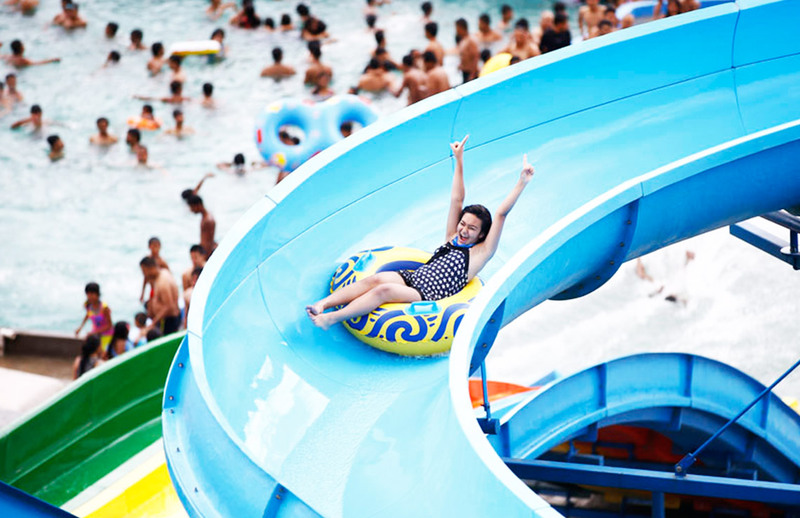 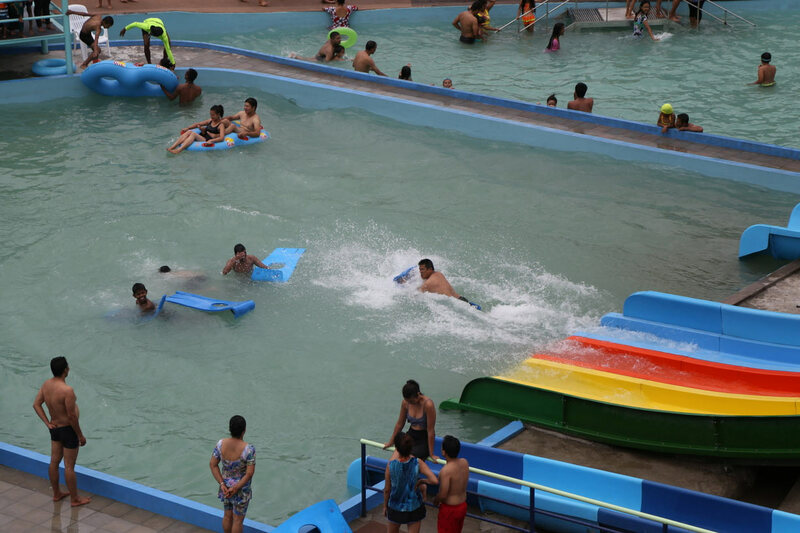 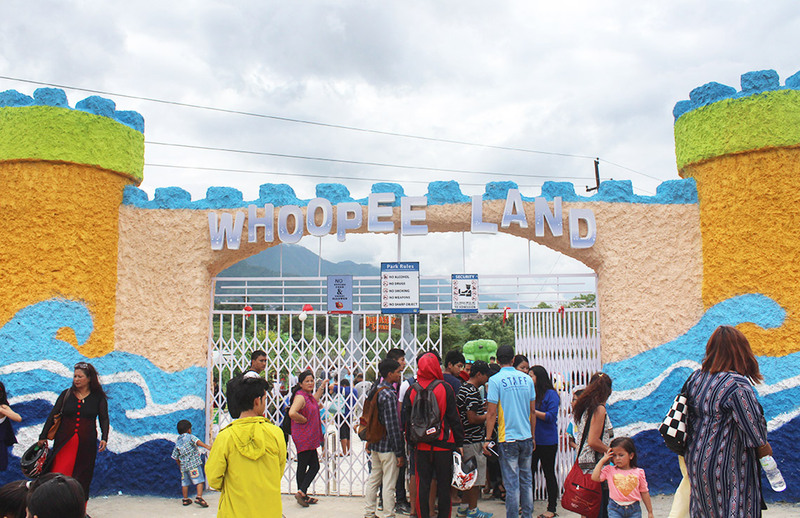 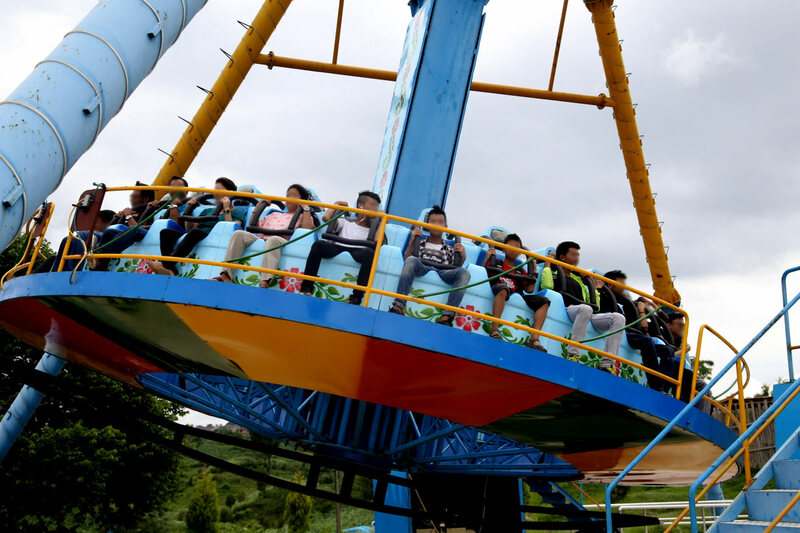 Whoopee Land a modern amusement waterpark has come into operation in Chobhar,Kirtipur. 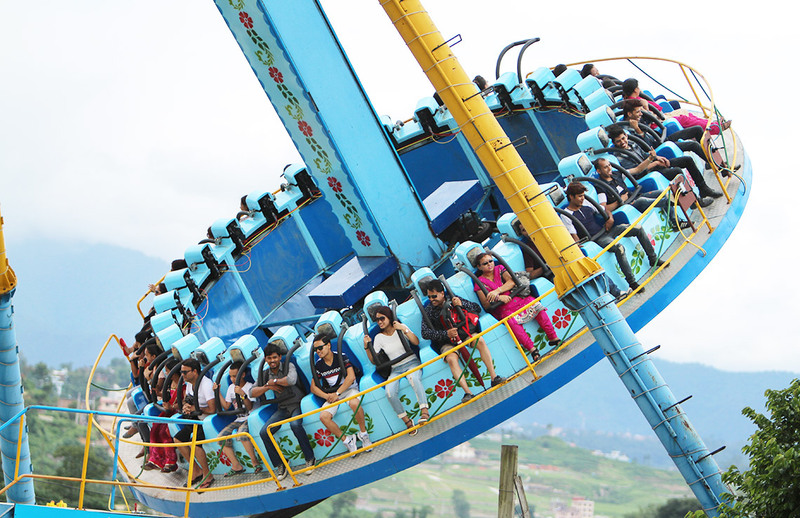 The site is located 3.5 km from Balkhu. 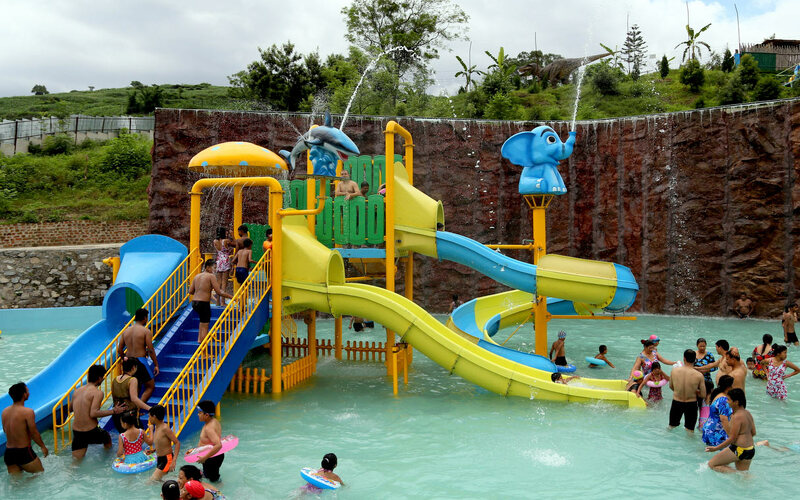 Innovation Pvt. 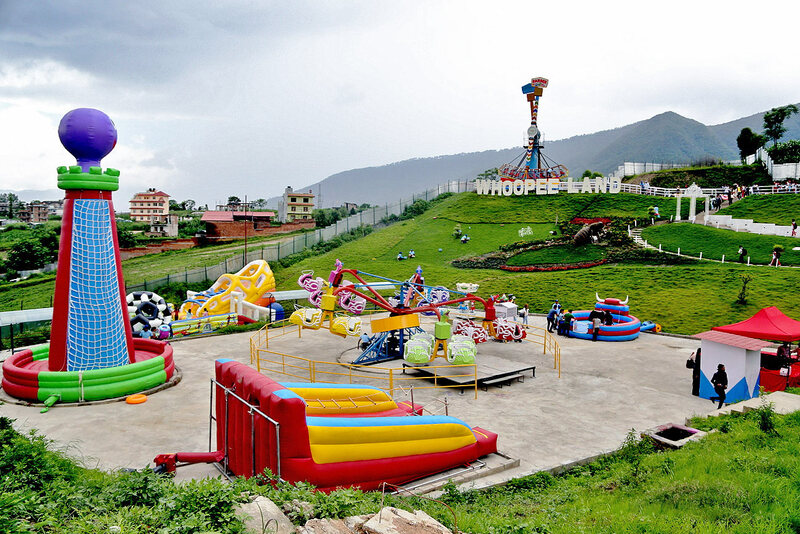 Ltd. has invested 250 million rupees to bring this amusement park into operation. 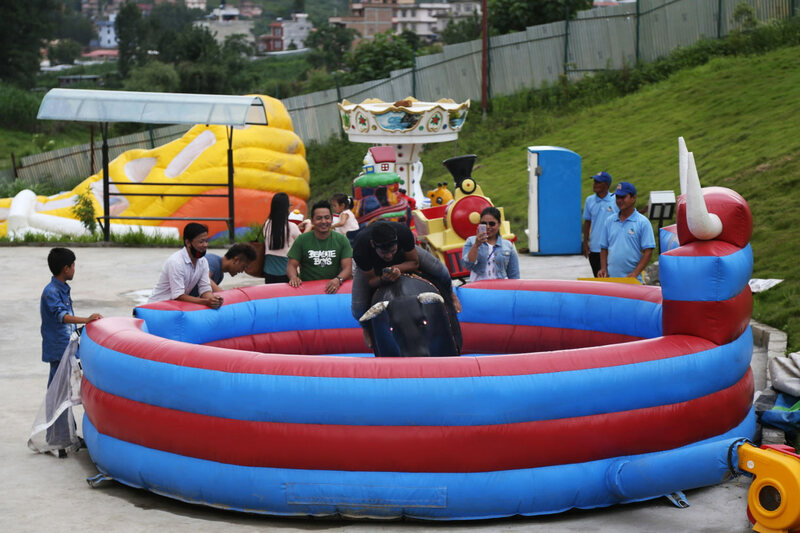 This park serves as a popular weekend getaway for people living in Kathmandu valley. 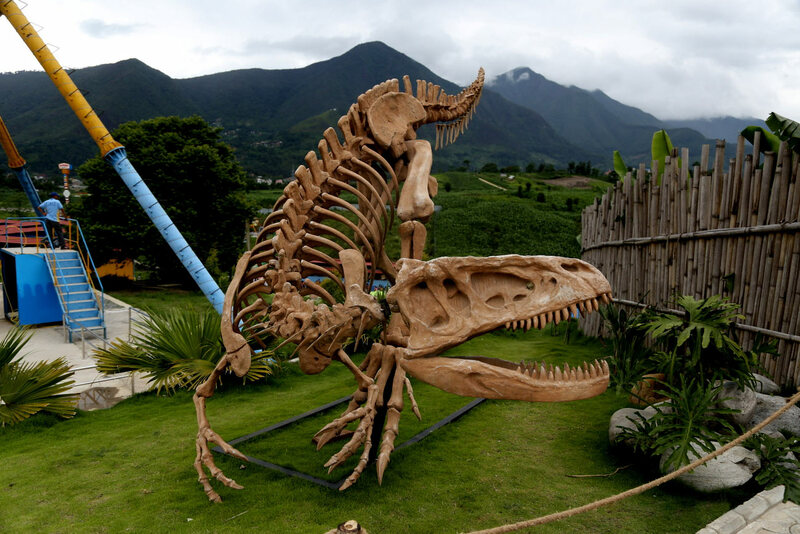 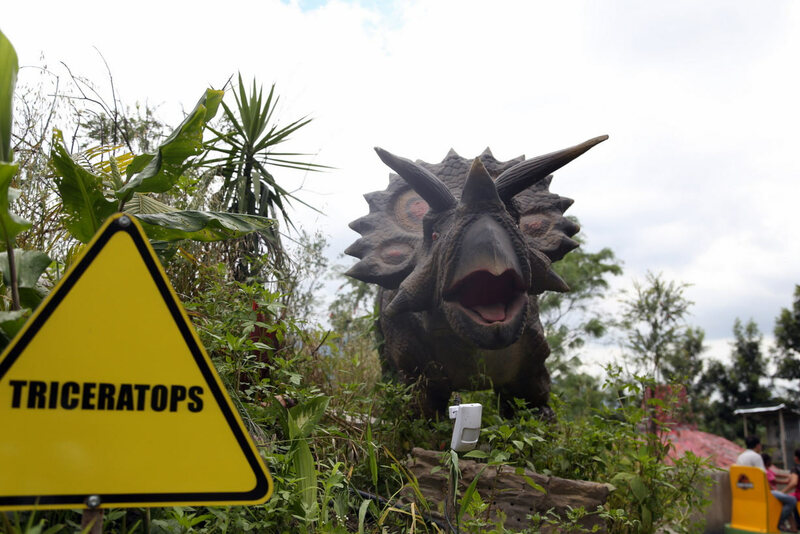 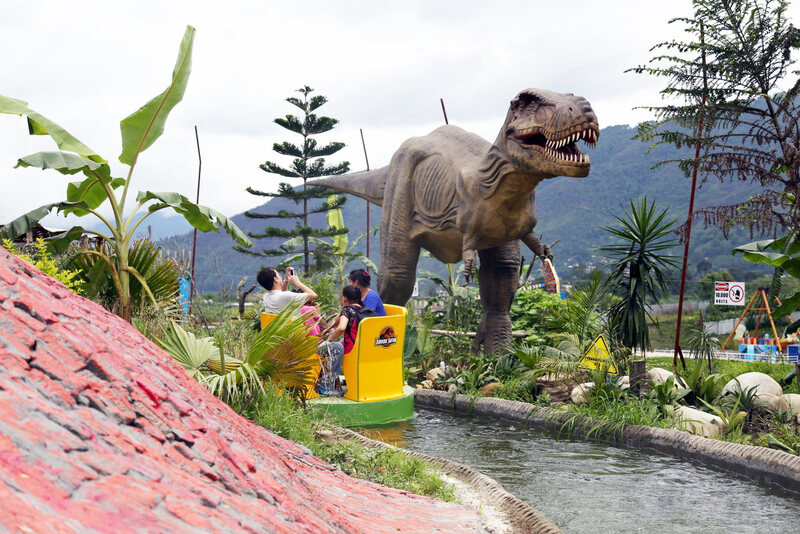 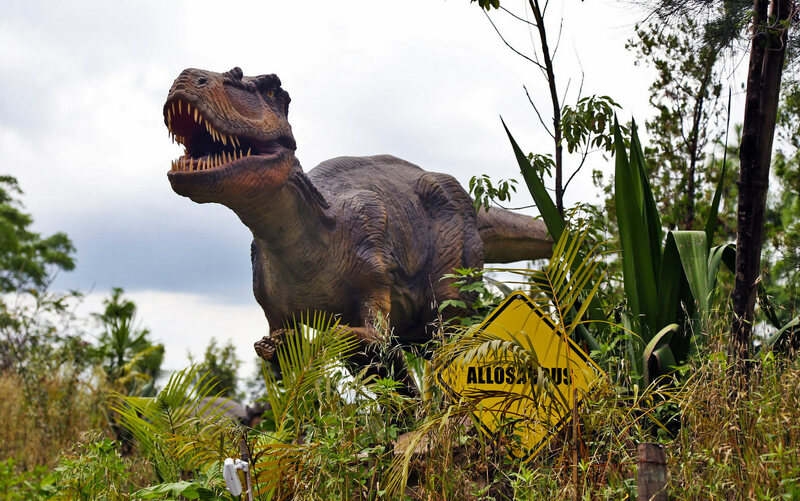 This stunning fantasy world provides many facilities and places for children to enjoy activities such as slides, children’s playground ,360 degree Ranger , 180 degree Frisbee, the bouncy Zorb ball along curvy meadows and Animatronics Dinosaurs. 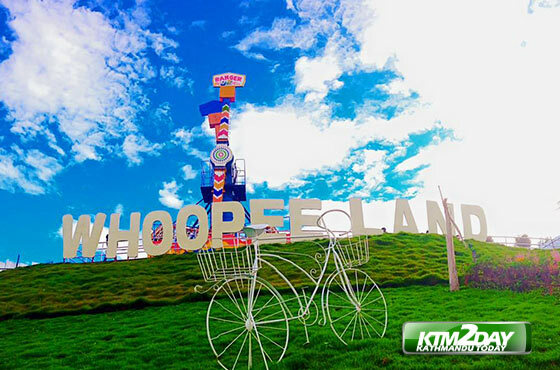 It is built in an area of 60 ropanis land and is constructed on similar concepts as in Europe and America. 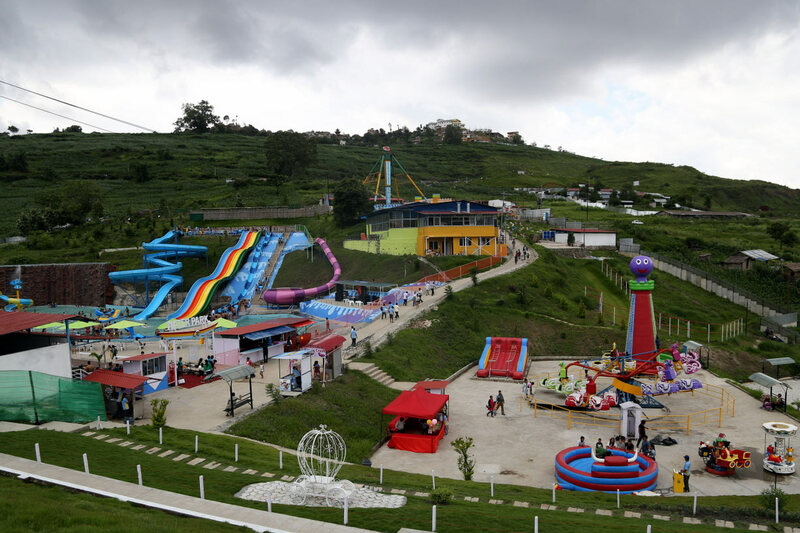 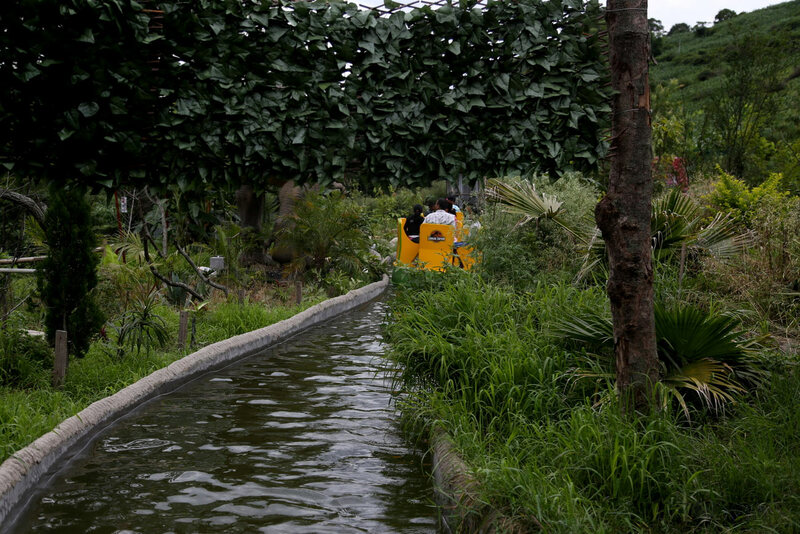 The Waterpark is located near the road to Dakshinkali. 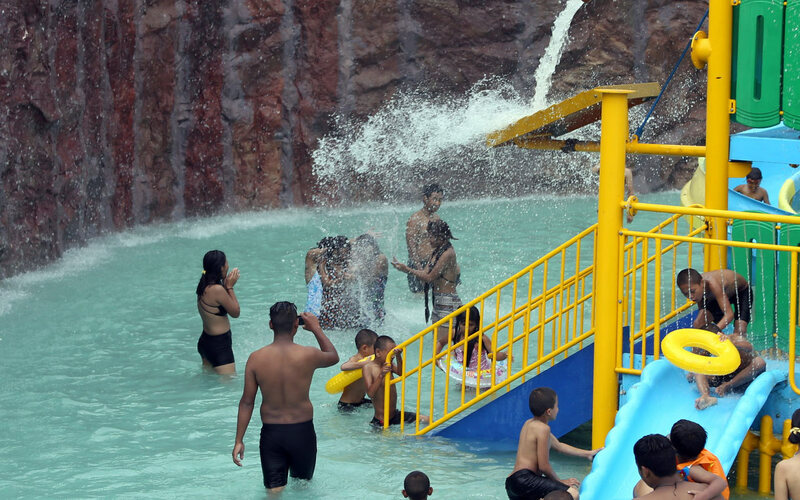 Children under the age of three years and elderly above 65 years are provisioned free entry. 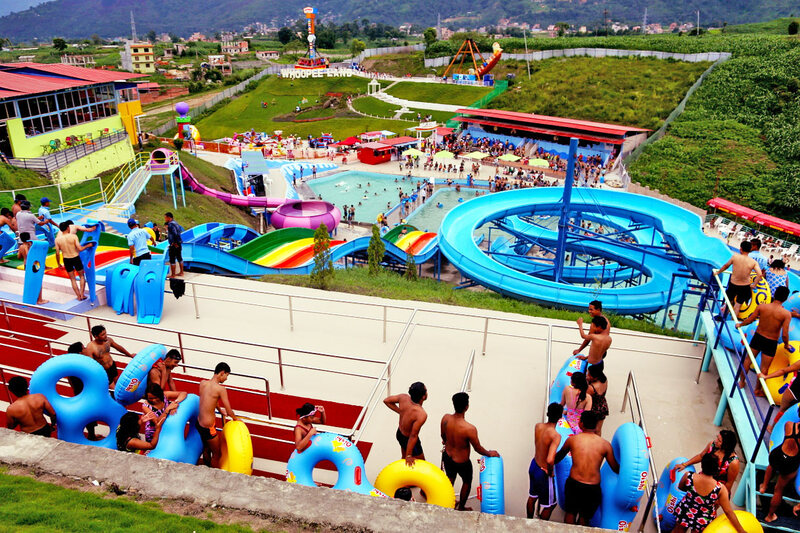 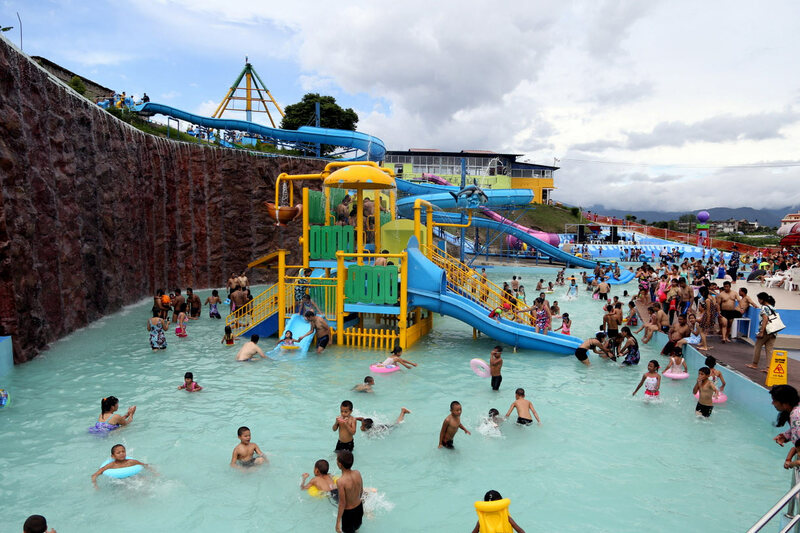 The waterpark has been arranged with more than 23 different games. 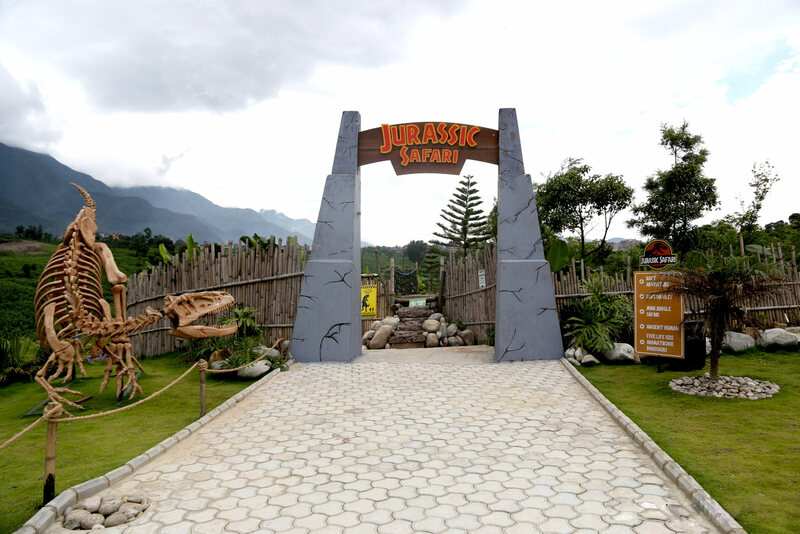 Admission is free for children under 3 ft and senior citizens above 65 years.